Clifton House is a Victorian villa, which has recently been refurbished, modernised and updated to superior boutique accommodation. Whether you are on business visiting the city, or looking for somewhere to host team building events, Clifton House offers beautifully decorated, luxurious rooms at a range of prices. Breakfast and parking is included in the price and all rooms are supplied with free wireless (WiFi). Ideal for teambuilding activities such as Real Life Clu’Doo, Escape the Box, No Ordinary Quiz, The Haka Experience, Murder Mysteries, Ipad Movie Making and much more. 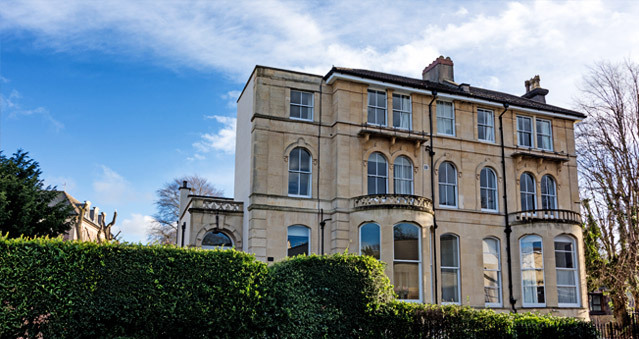 Location: Situated in Clifton, the City centre, harbourside and Temple Meads train station are 10 minutes’ walk away.